It’s time once again for the December Dilemma when children throughout America prepare for the loot bestowed on them in the name of Santa Claus or Judah Macabee, depending on their religious persuasion. Our children live in a “gimme” culture, and this year many retail Grinches are competing to see who can be the most mercenary by opening their stores before the last turkey leg vanishes from the Thanksgiving platter. How do we teach children the real spirit of the holidays: the gifts of light, love, and sharing bounty rather than the newest technological toy which has been their focus for weeks? A friend of mine in Florida used to dress as St. Nicholas, not as the red-clad “Coca Cola Santa Claus,” he said, but rather as the Santa garbed in green velvet and a head wreath. He shared the story of the long ago Greek priest whose mission was to leave anonymous gifts of money for poor girls who needed a dowry, which in turn started the tradition of gift-giving at the holiday. Hanukkah was a minor Jewish holiday until it came to America with European Jewish immigrants. 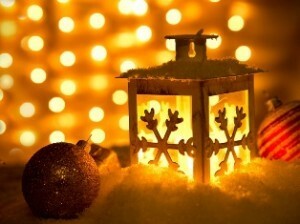 The holiday is actually the celebration of a military victory in the second century BCE. Ironically, the victory by the Maccabees preserved the separateness of the Jewish people while, in this country, the holiday has melded into the commercial chaos of December with eight days of presents to prove that Jews are just as good as their neighbors. Many families, to preserve some sanity in the holiday, have established a ritual of giving charity (tzedakah or “justice”) during Hanukkah to reinforce the message of sharing with less fortunate people. 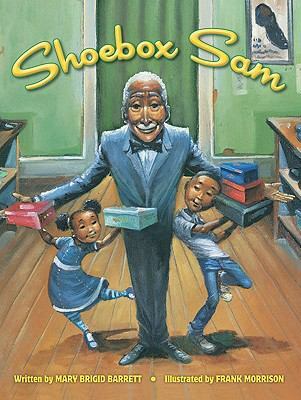 Shoebox Sam, by Mary Brigid Barrett. Shoebox Sam is a shoe repairman who makes old shoes new again. However, on Saturdays, with the help of Della and Jesse, he repairs shoes for the feet of poor people who need help. When a customer unearths a particularly special pair of shoes, Della and Jesse see Sam promote the greatest charity of all. 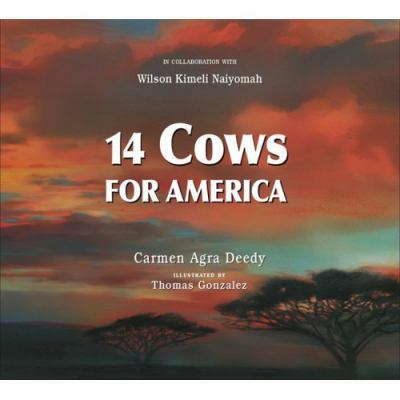 14 Cows for America, by Carmen Agra Deedy. Based on a true story, this book tells the tale of Naiyameh who was visiting New York City on 9/11/2001. Deeply troubled by the events of that day, he returned to his Masai tribesmen with stories of toppled buildings and a great city brought to its knees. The people of his tribe symbolically blessed fourteen cattle, representing much of the tribe’s wealth, and offered them for the healing of New York and its people. 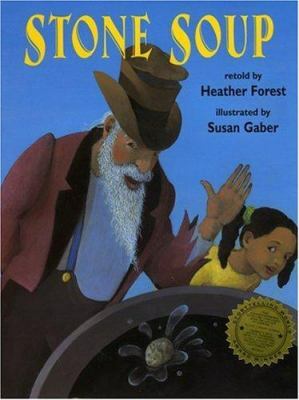 Stone Soup, by Heather Forest. This is my favorite version of a traditional folk tale about travelers who are turned away without food from the doors of villagers. Through subtle trickery, the travelers promise the villagers a delicious soup made only with a stone, but also with the contributions of food from everyone in the village. While Marcia Brown’s version of the story is more familiar, storyteller Heather Forest’s book reads particularly well because of the rhythms of the story. 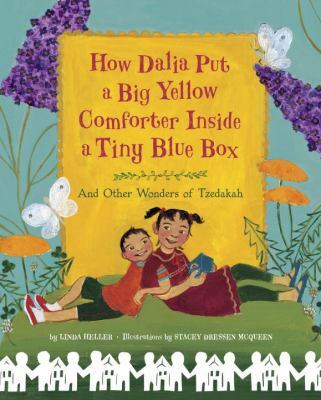 How Dalia Put a Big Yellow Comforter Inside a Tiny Blue Box, by Linda Heller. Dalia shares her knowledge of charity with her brother, Yossi, as they save their change in a traditional tzedakah box to donate to a worthy cause. 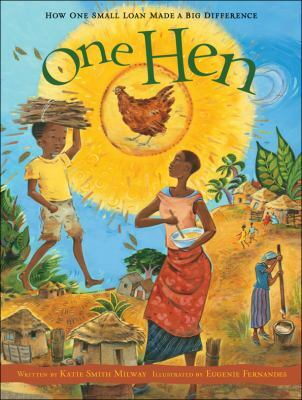 One Hen, by Kate Smith Milway. An Ashanti boy takes advantage of a microlending program to buy a hen. When he pays back the loan, the money is borrowed by other families to buy animals and start businesses of their own. Eventually, the boy’s initial investment in the hen results in a poultry farm that supports his family. 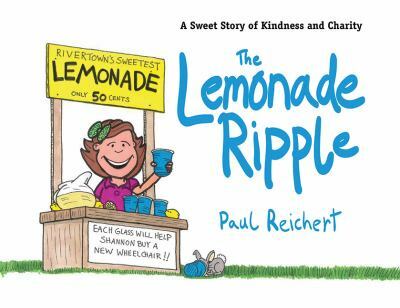 The Lemonade Ripple, by Paul Reichert. Caroline sets up a lemonade stand on the street to help raise money for her friend’s wheelchair. Other children learn from her example and soon a “ripple effect” occurs, with many people engaging in philanthropic acts to help others in the community. 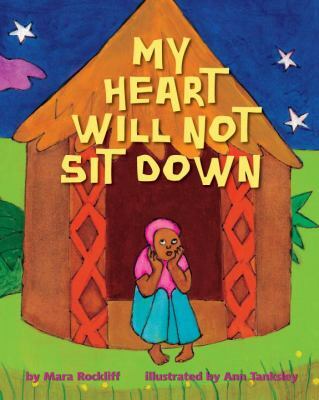 My Heart Will Not Sit Down, by Mara Rockliff. During the Great Depression, a young boy in Cameroon hears that his teacher’s “village,” New York City, is in great financial trouble and its people starving. The boy vows to raise money to help people across the seas in America. 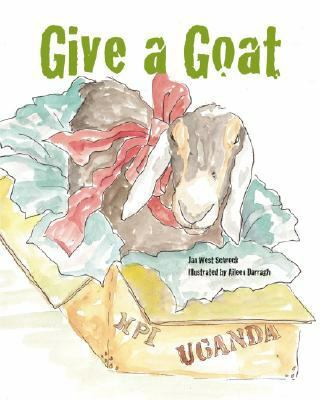 Give a Goat, by Jan West Schrock. A class of fifth graders raise money to give a goat to a girl in Uganda after reading a book about how a goat will benefit an impoverished African family. This true story encourages children to raise money for organizations like Heifer International which provides farm animals to families around the world to help them survive. 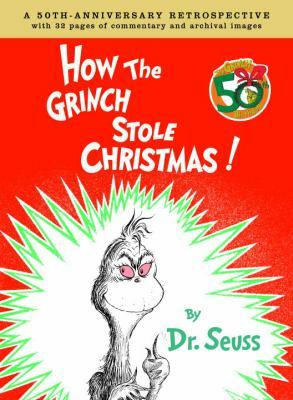 How the Grinch Stole Christmas!, by Dr. Seuss. The now classic tale of the nasty old Grinch with the miniaturized heart who reforms his stinginess in time to bestow Christmas gifts on the Whos of Whovilles. Combine this with one of the other books about real philanthropy for a total message of the holiday spirit. To all of you, the happiest of holidays no matter what you celebrate, and an expansiveness of heart that will radiate the glow of the season wherever you go and however you celebrate.